SportsRadio 1350 WOYK general manager and York Revolution play-by-play announcer Darrell Henry shares his unique insight on the recent loss of former Revs infielder Andy Marte. 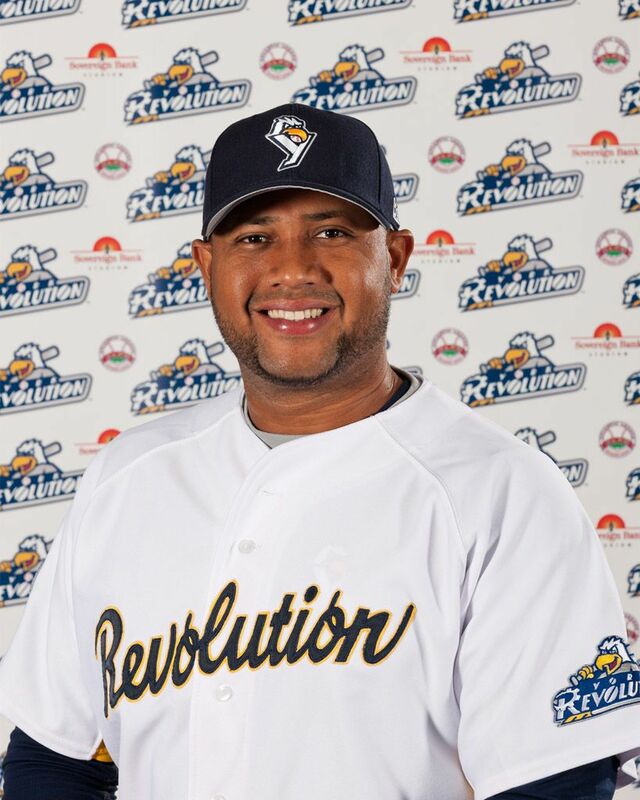 Along with the rest of the baseball world, all of us at the York Revolution were heartbroken to learn of the passing of one of its greats, with the loss of Andy Marte this past weekend. It was one of baseball’s darkest days in a long time, as of course his fellow countryman and budding star Yordano Ventura lost his life in a separate accident. It’s always gut-wrenching to learn of the death of any young person in their prime, and whenever it happens in the sports world, it hits close to home. Somewhere there is a team, just like ours, that loses one of its own, and you can’t help but put yourself in their shoes a little bit. Obviously this weekend’s news hit right at home, as it feels like not long ago that Marte was suiting up for the Revs and mashing Atlantic League pitching on his return to the Majors. Adding another layer to the heartbreak is the fact that Marte had planned to return to the Revs in 2017, having had talks with the coaching staff just days before his accident. What a moment it would have been to welcome him back to the place where his MLB comeback began four years earlier. Marte was already one of the greats in Revolution history, despite having not been in York for all that long. It was August 4, 2013, when the Angels purchased his contract from York, after he had gone on a massive tear through the summer months that had him firmly entrenched as one of the top hitters in the Atlantic League, hardly a surprise given his pedigree. One particular summer afternoon comes to mind: July 14, 2013, against Southern Maryland, when Marte bashed a pair of home runs including an extra innings game-winner. But the first thing that comes to mind when thinking of Marte actually isn’t his excellence on the field, but the impact that he had off of it. Quiet by nature, Marte always struck me as sort of a gentle giant who simply led by example. His approach and professionalism was admirable. He was extremely highly respected by his teammates, and went about his work each day, embracing the Atlantic League as his road back to the majors. Very respectful and friendly with teammates, fans, and anyone he came in contact with, he was truly one of the good guys, something that players across the game echoed on social media in the past couple of days when paying their tributes. After suffering an injury that denied him a call-up that September, he signed with Arizona for the 2014 season, where he would make his return to the Majors that year. He was called up on July 31, arriving at Chase Field after the game had started, and entered in the sixth inning of a game against Pittsburgh, blasting a pinch-hit home run in his first at-bat. I remember how proud our coaching staff was that night here in York, as just a year earlier; he was doing the same in a Revolution uniform. It was typical of Marte’s work ethic, that the day Mark Mason first called him at home in the Dominican Republic to sign him in 2013, Marte was hard at work tending to his livestock. “They were cackling in the background or whatever sound they make,” recalled Mason. It is tough to comprehend the loss of someone young, or of a professional athlete whose strength and skill make them seem invincible. Most of all, our thoughts are with his family and those that were closest to him. Sunday was among the most tragic days our sport has endured, and the baseball world is in mourning. It’s clear that Marte had a profound impact on many during his time here and throughout his other travels in baseball, albeit far too short-lived. But we are fortunate to have had him here along the way. As one of our MLB alumni, his Diamondbacks banner still adorns the sidewalk along Brooks Robinson Plaza. The game lost a great one on Sunday. On and off the field, Andy Marte truly was one of the greats.